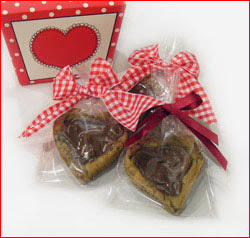 The Gingham Grasshopper: Chocolate Chip Valentines! 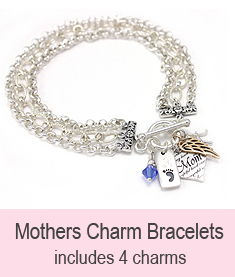 Are you looking for a new Valentine treat? 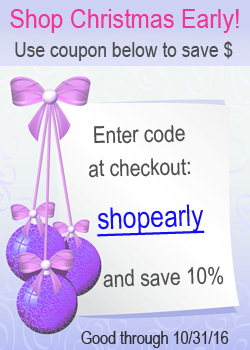 Need to send something to school for a party? Then this is for you. 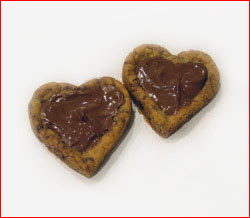 These adorable, and yummy, heart-shaped cookies are easy to make and look like you spent hours on them. A few things you need are: your favorite chocolate chip cookie recipe, plain aluminum cookie cutters (don't use the new colored ones), Hersey's chocolate kisses, and your choice of packaging. Whip up a batch of chocolate chip cookies. 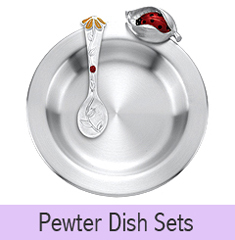 Place the aluminum cookie cutters on a cookie sheet (the more you have, the quicker it will be). 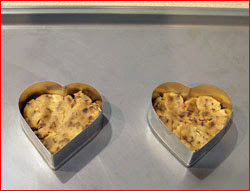 Use about 1 1/2 tablespoons of dough and lightly press it into the cutter. It doesn't have to fit perfectly, the dough will spread out as it bakes. Bake the cookies 1 minute less than the recipe calls for but don't remove the cookie cutters! Bake the cookies with the cutters still on (as shown). Take the cookies out of the oven and cool about one minute. (The cookies will "sink" in the middle; if not, press them with the back of a spoon while warm). 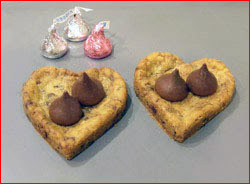 Remove the cutters and place one or two chocolate kisses on top of each cookie. Put the cookies back in the oven for one minute to melt the chocolate. Remove the cookies and spread the softened chocolate with the back of a small spoon. The "sunken" center is heart-shaped and makes spreading easy. My family likes chocolate, so we use two kisses. Set the cookies on a rack to cool and re-set the chocolate. Once the chocolate has re-set, you can wrap and package them any way you like. If you need to speed up the setting, place them in the freezer for about 10 minutes.